Apple fans might want to mark Sept. 9 on their calendars, because that’s the date the highly anticipated iPhone 6 will reportedly make its grand debut. The news comes by way of Re/code’s John Paczkowski, who has an excellent track record when it comes to covering Apple and, specifically, reporting when Apple will host events. The date makes sense for Apple, which for the past three years has held launch events for its iPhone in September. Traditionally, Apple makes its iPhone available to shoppers 10 days after its debut event, which would mean that the iPhone 6’s release date would be September 19th, if history is any guide. 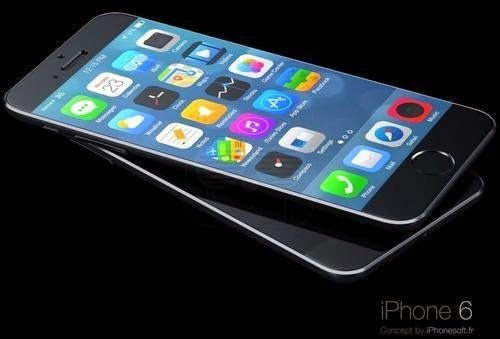 The iPhone 6 is expected to be a radical departure from Apple’s previous iPhones. The handset is said to sport a much larger 4.7-inch display, compared to the iPhone 5s’ 4-inch screen, as well as a faster processor for better performance and an improved camera. Other reports point to Apple also launching an even larger 5.5-inch iPhone that would help the company compete with so called “phablets” like Samsung’s massive 5.7-inch Galaxy Note 3, especially in China. Various rumors also indicate that the next iPhone will use what’s referred as a sapphire crystal display, which would make the handset’s screen far more durable than the iPhone 5s’. In addition to versions of the iPhone 6, Apple is said to be prepping a highly anticipated smartwatch. Though the device’s name isn’t yet known for certain, it is widely reported that it will be called the Apple iWatch. If Apple’s event is held on Sept. 9, it would mean that the iPhone 6 would debut just six days after Samsung is expected to unveil its new Galaxy Note 4.